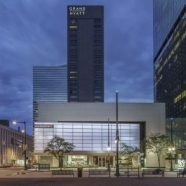 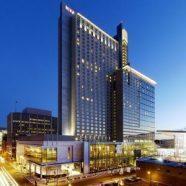 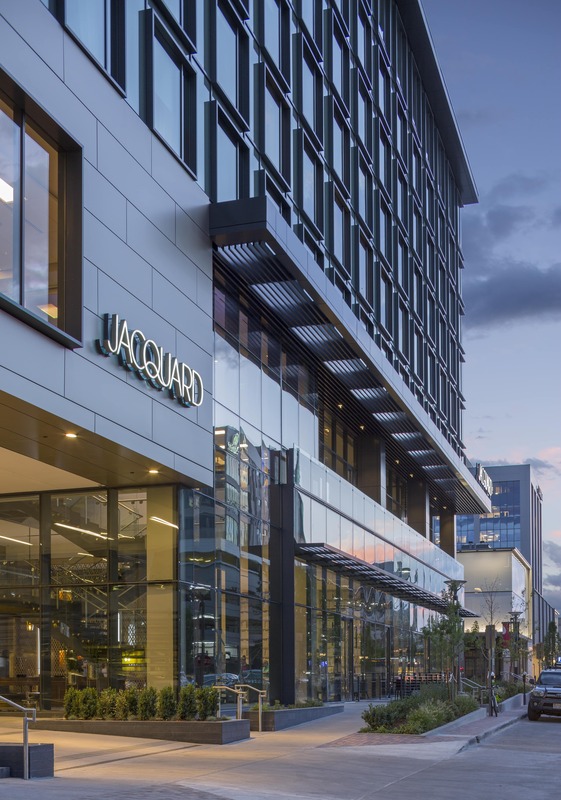 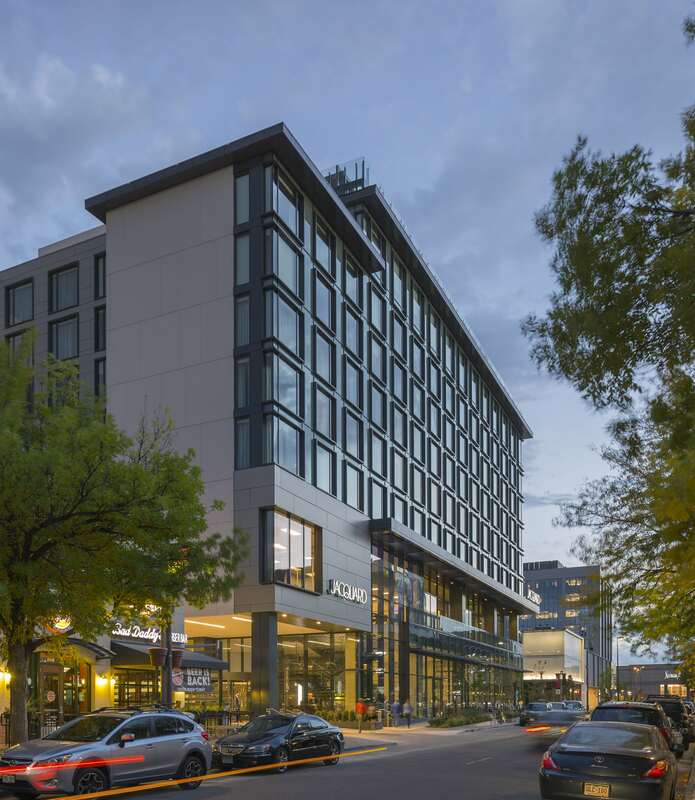 The Jacquard Hotel brings a new urban elegance to Denver’s robust hospitality market in the vibrant Cherry Creek North District. 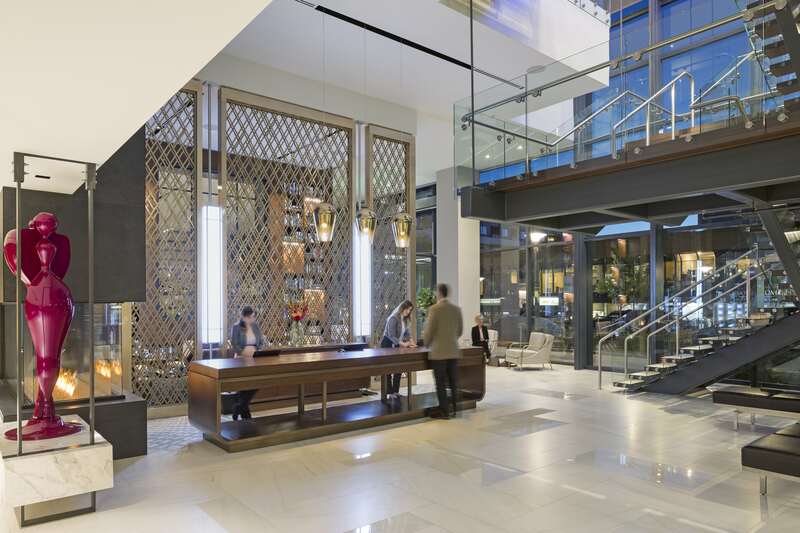 With 201 rooms, 7,800 sf of conference and pre-function space, athletic facilities, underground valet parking, street-level retail, and a grand rooftop terrace, the upscale Jacquard offers full-service amenities with cosmopolitan style. 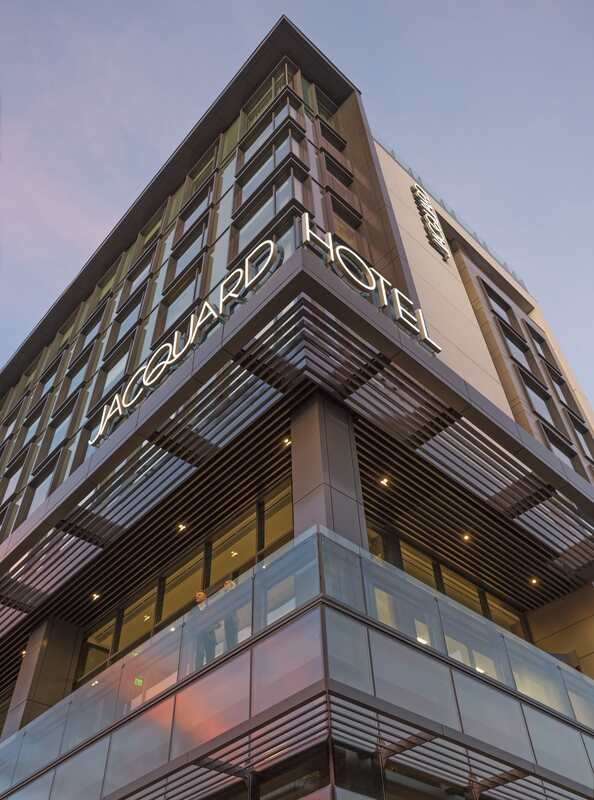 As part of Marriott International’s Autograph Collection, the Jacquard brand exudes luxury and independence—a destination all its own. 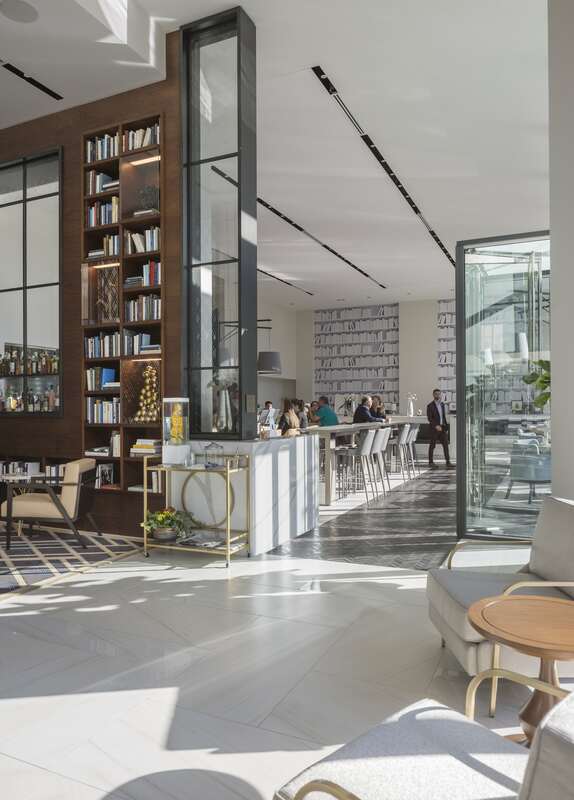 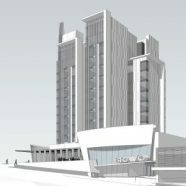 A street-level lobby off Milwaukee Street includes guest registration, a bar and lounge, dining and full-service food offerings; future street-level retail space will be available at the corner of 2nd Avenue and Milwaukee Street. 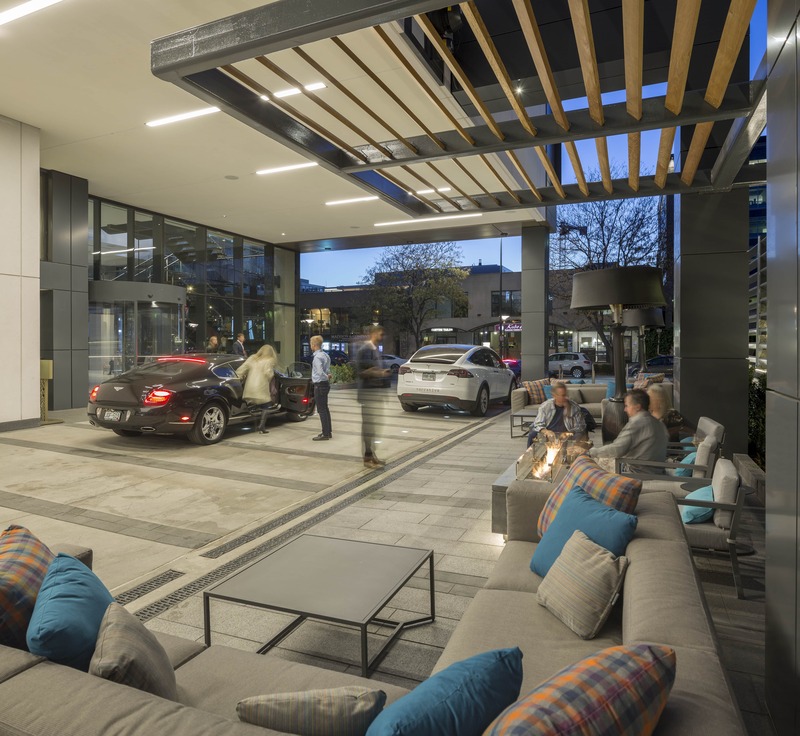 On-site valet parking is available, utilizing 101 spaces on two below-grade levels utilizing auto-stackers. 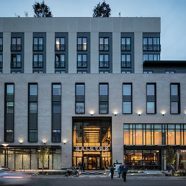 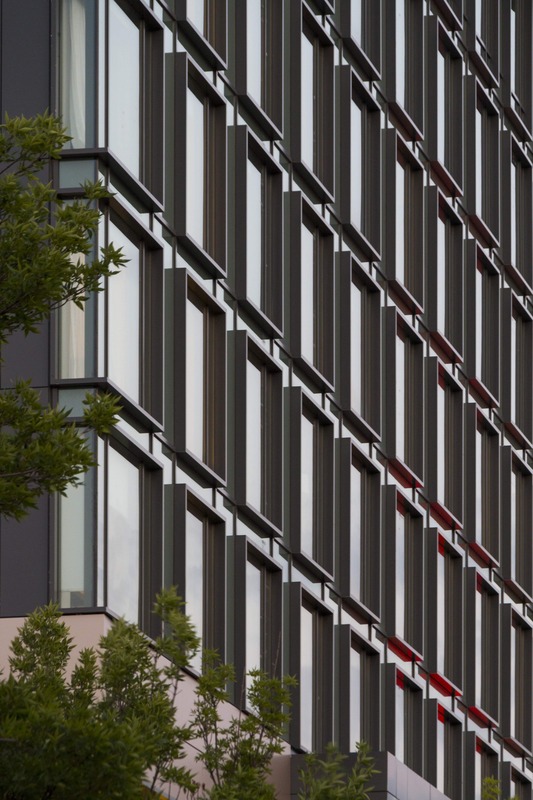 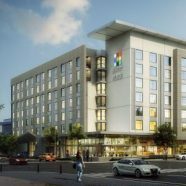 The hotel’s prominent location demands a contextually scaled aesthetic; accordingly, each of the four facades is designed to include a sophisticated mixture of windowed walls, stucco and architectural aluminum panels. 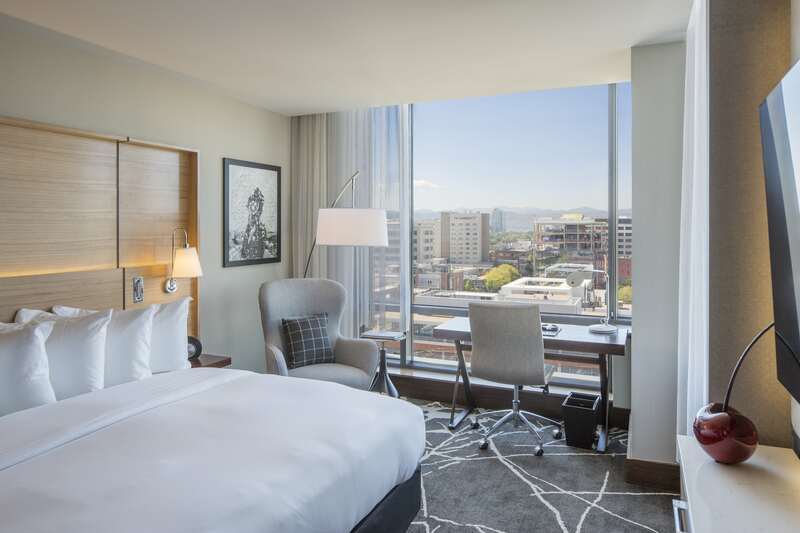 But the Jacquard also connects guests with its bustling surroundings, from the guest rooms’ signature 8’x8’ exterior windows that flood each guest room with natural light, to the conference areas’ southern-facing terrace that opens onto the corner’s vibrant streets. 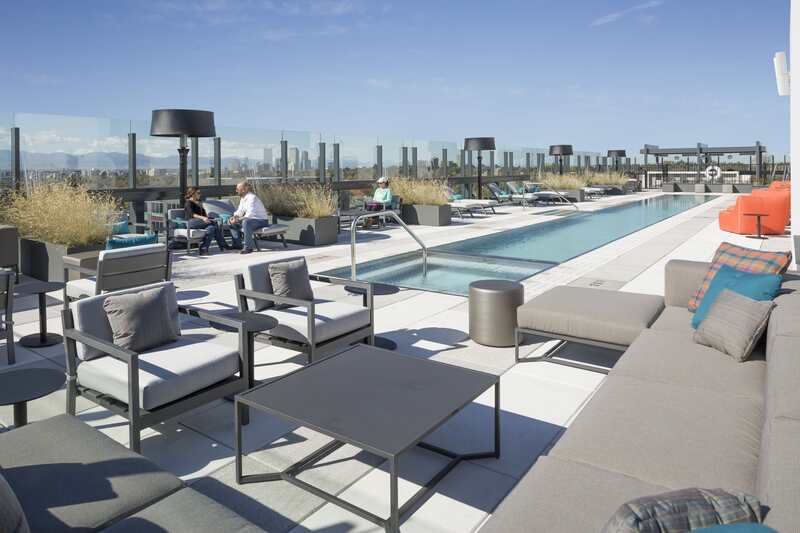 A planned rooftop terrace emphasizes Denver’s natural beauty with a regulation-size lap pool and panoramic views of the Rocky Mountains. 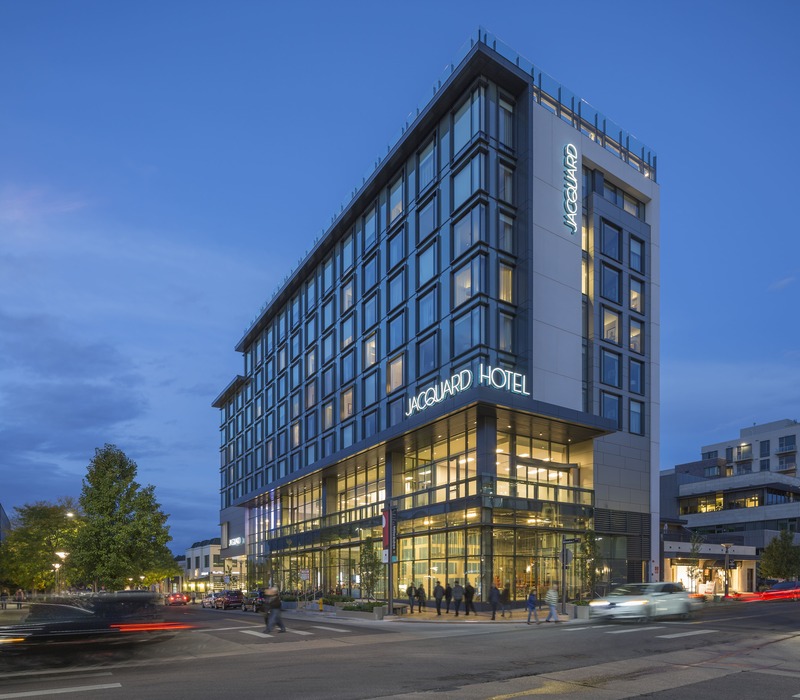 The Jacquard Hotel opened in late Summer 2018. 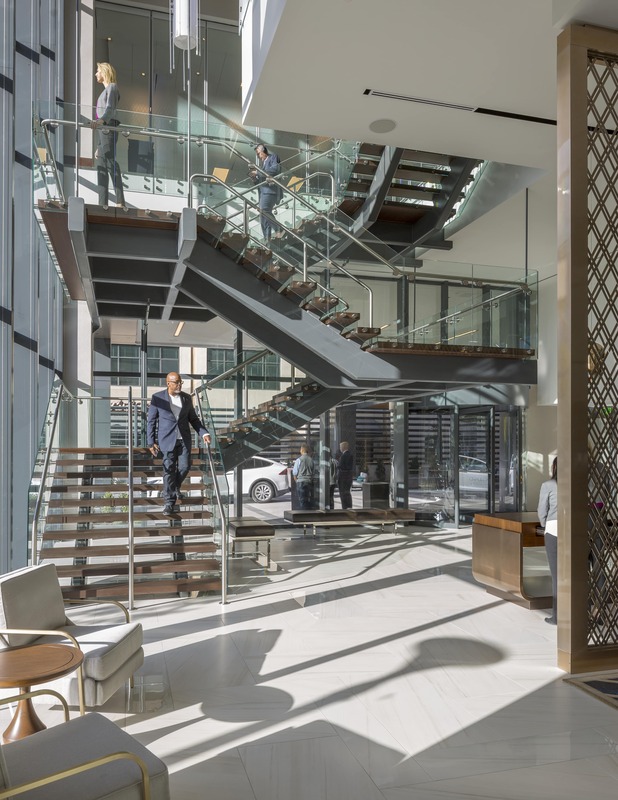 CannonDesign provided architecture for the project, with collaborative interior design provided by Design Force.